Tis' the season to be jolly and drink rum! 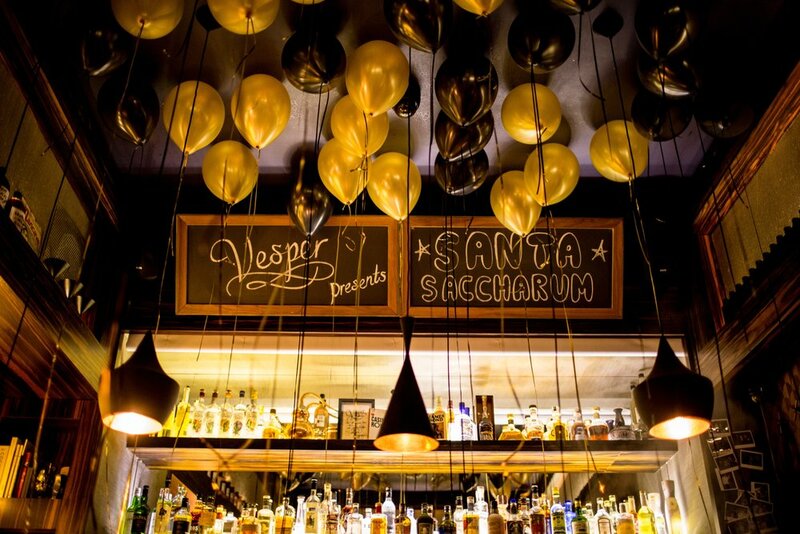 To celebrate the end of an amazing year the boys at Vesper invited all of their rum buddies to join them for a night of festive frolicking and merriment. December's cockle warming menu celebrates the wonderful things that have happened within the rum category this year and features a collection of tropical Christmas cocktails designed to provide warmth and gezelligheid during these cold winter nights. Last month our dear Danish friends Alex and Lea moved to Amsterdam. It was a beautiful weekend so we decided to take them to one of our favourite city escapes to make the most of the late Summer sunshine and take a long rejuvenating walk across Castricum's unspoiled dune reserve towards a perfectly tranquil stretch of Noord Holland's coast for a beach picnic. On our way back Lea pointed to the familiar looking orange berried thorny shrubs that lined the entire road back to our car. Unable to recall the name of this plant she got on Google and discovered it to be sea buckthorn, a native Nordic plant that had over time travelled with the wind down from the Scandinavian shores to find home upon the dunes of the Dutch coast. To commemorate our Danish friend's arrival with the timely discovery of this Nordic plant I respectfully harvested enough berries to take back to Vesper to create an aptly themed Thor cocktail to immortalise this romantic coincidence! 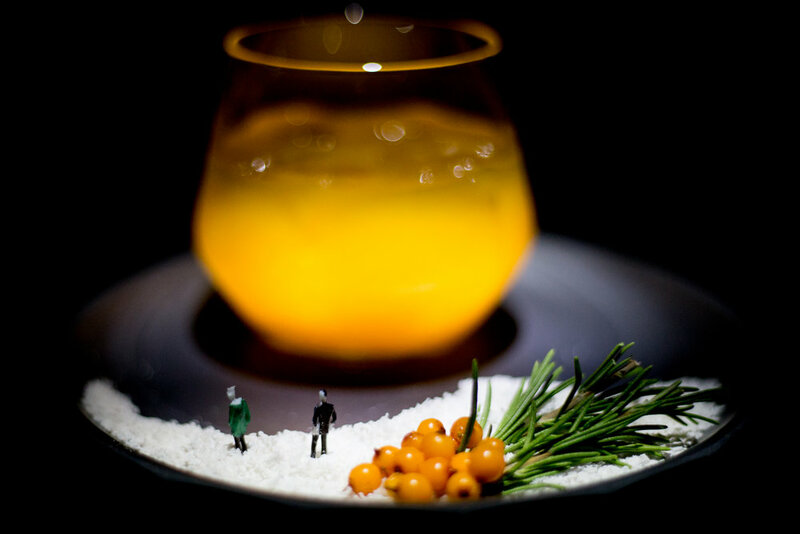 Featuring as our 'Wild Cocktail of the Month' my creation combines said wild sea buckthorn shrub with prickly pear, wild mezcal, ginseng spirit and cactus paddle bitters paired with a coconut and anise sand. Introducing the mighty Thor's Thorn, Vesper's seasonal, spikey sipping sensation. Adopting a closed-loop approach to cocktailing, the team at Vesper continue to discover inventive, fun and gratifying ways to reduce their waste! Dedicated to this new found approach the team started to also notice how engaging this concept was and so devised a plan to involve the wider bar community- to embrace comradery, cultivate creativity and inspire awareness, whilst offering customers an exciting, thought-provoking and super tasty drink experience! 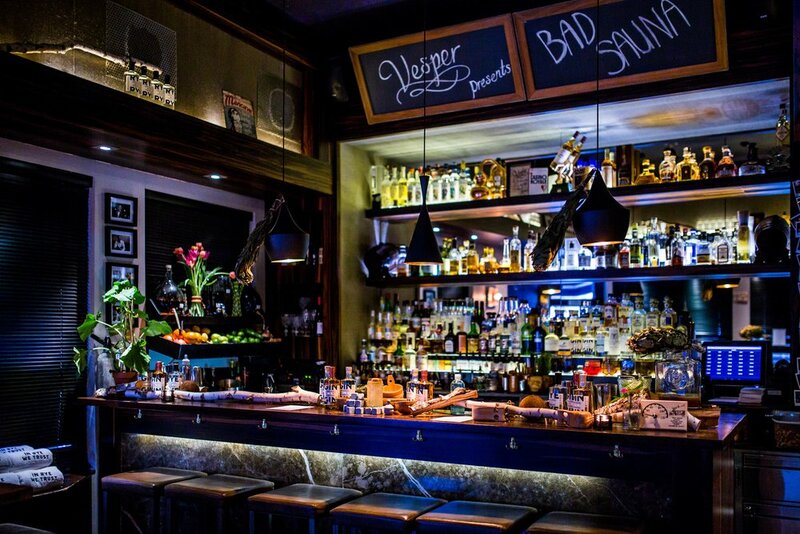 For the months of August and September Vesper warmly welcomes some of Amsterdam’s most creative bartenders to feature on this first-of-a-kind reduced waste collaboration menu. 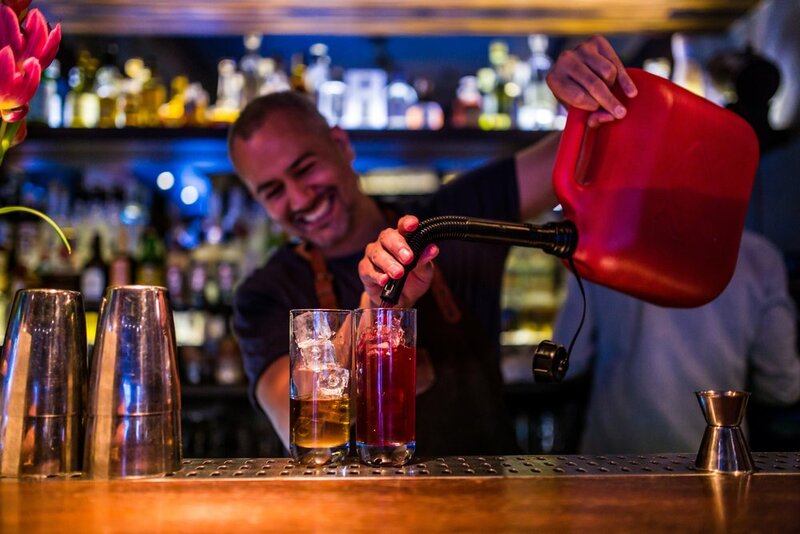 Featuring 'Trash' cocktails will be available throughout the 2 months with a series of back to back guest shifts taking place every Thursday night for the duration. Check in on our FB event page if you would like to attend our launch party on Tuesday 8th August, and to find out more about our guest shift program for the upcoming 2 months! The elderflower heads are in full bloom and ready for collecting, my quest to make elderflower cordial for a cocktail being launched in the July menu at Vesper Bar. I have made this cordial before back on my parents farm in England, and the distinctive elderflower floral aromas always leave me longing for this time of the year to come around again. In this wonderful city of Amsterdam there are plenty of surprises when it comes to foraging. At Vesper we plan to embrace these offerings and make as many of our craft ingredients as possible from local sources. Making elderflower cordial from scratch, as well as being incredibly satisfying, has a much smaller carbon footprint as all ingredients are collected by foot or by bike. I respectfully plucked about 100 heads of elderflower making sure not to take too many from one area and took them home to combine with orange, lemon, sugar, water and citric acid. This makes about 5 litres of cordial which features in our floral, sweet and sparkling cocktail ‘Vondel Park Spritz’. 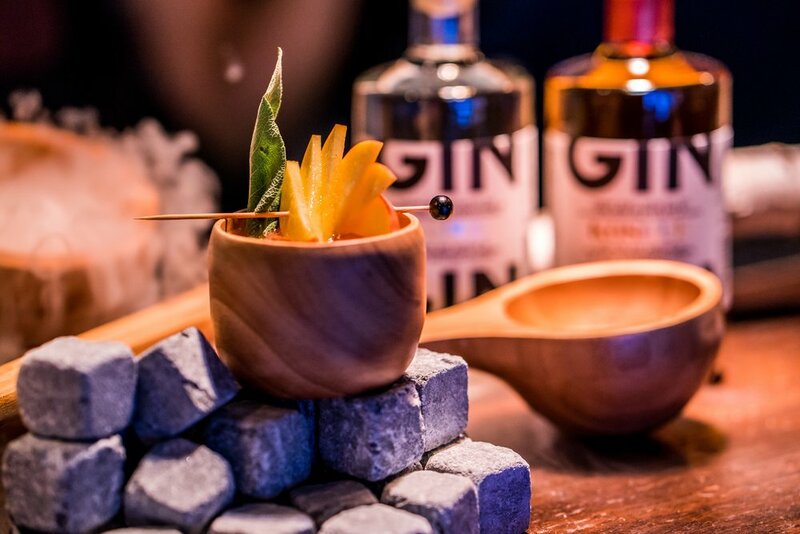 To close the Perfect Serve Bar Show 2017, Vesper hosted a night of positive vibes, conscious cocktails and 'responsible' rum drinking together with Diplomatico rum. 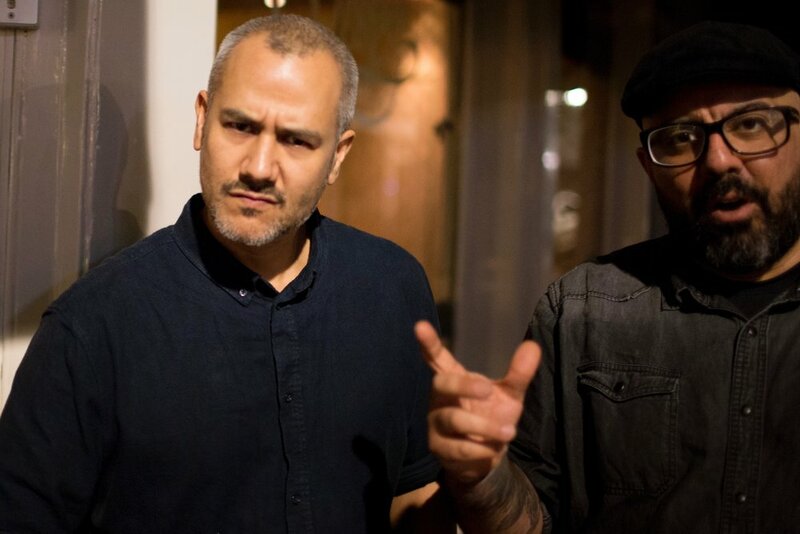 European brand ambassador Jon Lister and Dutch DWT finalist Michael John Straatman joined our very own resident brand ambassador Jules Bayuni behind the stick to show guests just how much fun you can have closing the loop whilst cocktailing! 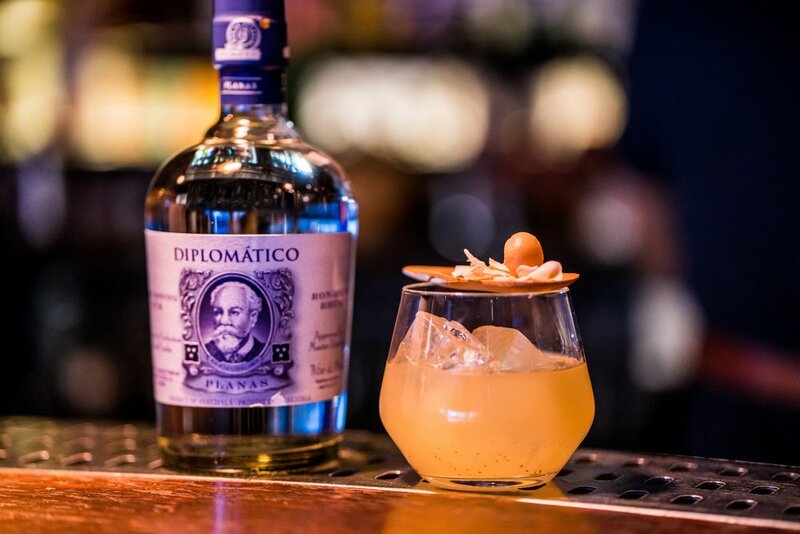 Diplomatico's innovative multi-sensory rum experience and talk on sustainability at the Perfect Serve gave the well attended room an insight into their social responsibility traditions and sustainable practices as a global rum brand with a local heart. 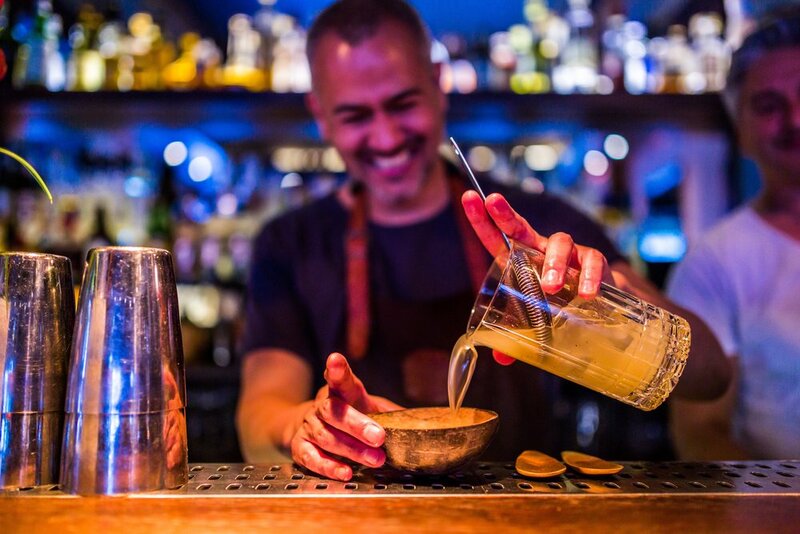 Closed- loop cocktails designed by Jules Bayuni and Michael John Straatman for Diplomatico. Huge thanks to Right Spirits for co-hosting such a great event! Images courtesy of Ming Chao. 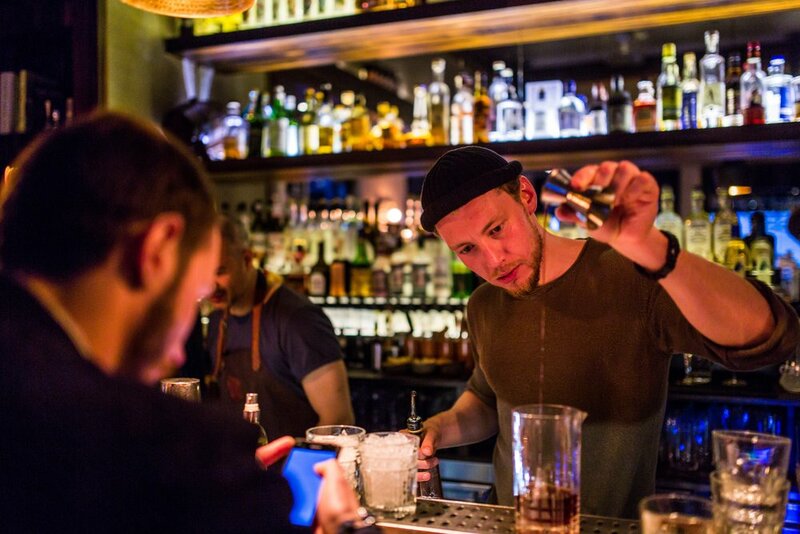 The obvious question on everybody’s lips was- why hasn’t anybody made a Finnish rye whisky, especially given the fact that Finns consume six times more rye than the world average and rye bread is the official national dish?! From there the idea grew and before long, their distillery found a perfect home in an old dairy in the Finnish village of Isokyrö. Kyrö Distillery Company is proud to be the world’s northern-most gin and whisky distillery producing the finest single malt rye whisky and rye gin. The team continue to conceive ideas for the brand’s future at their regular sauna club sessions! 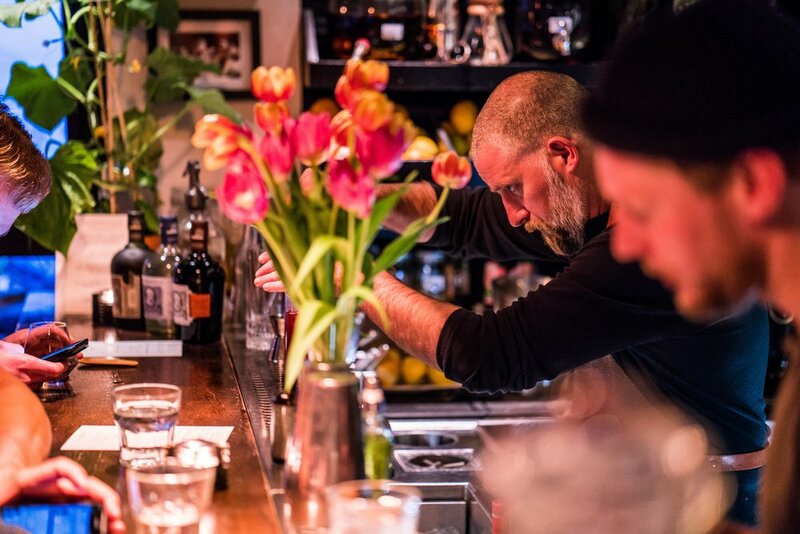 During the Perfect Serve Bar Show 2017 Vesper transformed its humble space into a ‘sauna’ like room to host a steaming hot night of sauna club comradery and celebration of all things rye. Kyrö rye cocktails by Julian Bayuni & Pauliina Marjanen.